When I first started working after college, I was surprised to learn that not all millennials had the same work ethic as me. In fact, according to many of my colleagues throughout the years, millennials have a bad rap when it comes to working hard. I have classic first-born syndrome: focused on overachieving, and getting a gold star of accomplishment from my supervisors. I’ve received several promotions and have always been viewed as a valued employee. In the 10 years since graduating college, I’ve more than tripled my starting salary. 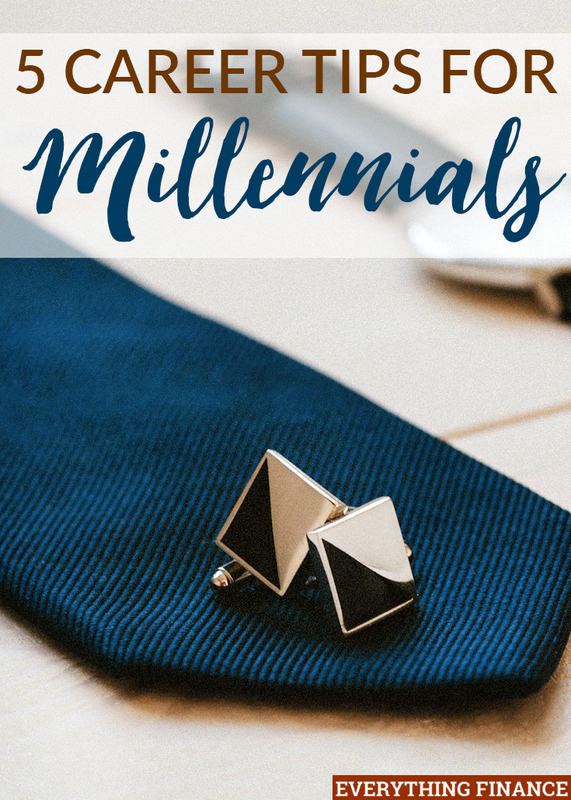 Here are five career tips for millennials to be successful in the workplace. From the minute you walk in the door for the first interview, be professional. This means dressing professionally, using a firm handshake, coming prepared to the interview with questions about the position and knowledge of the company, and presenting resume on resume paper. Even after landing the job, keep your professionalism. Show up on time, don’t chew gum, and don’t entertain office gossip. You only have one chance to get the most money—at the negotiation table. You need to learn how to negotiate effectively to give yourself the biggest chance at earning the most. Your base salary will be the starting point for every raise and bonus from that moment forward. For example, let’s assume Johnny negotiates a base salary of $100K, but Sally only negotiates a base salary of $90K. After the first year, they each receive a 3% raise. Johnny will receive $3,000, but Sally will only receive $2,700. You may think that doesn’t sound like a huge difference, but by year 5, Sally is earning $101K a year, and Johnny is earning $112.5K a year! Furthermore, Johnny has earned $50K+ more than Sally—all because he negotiated his base salary better. Women are notoriously known for being worse negotiators than men; it’s important to practice your negotiating skills early. You not only have to have a good work ethic, you have to have a positive attitude. Smile, be friendly, and be open to new ideas from your colleagues. Nobody wants to work with someone who is consistently negative. Millennials are known for their “me-me-me” attitudes. Regardless of whether or not that’s true, to be valued and appreciated, you need to be a team player. Don’t bring your weekend drama into the workplace. A key component of being professional (tip #1 above), is to remember that while you can be friendly with your colleagues, you don’t want to get overly comfortable where you share way-too-personal details of your love life and relationship drama. Sharing pleasantries about your weekend is fine; detailing your roommate’s break-up step-by-step with her cheating college boyfriend is not. While millennials have a bad reputation for not being as career-driven as other generations, there is one important rule to keep in mind—you still have to watch out for yourself first. Remember that you should be respectful and professional at work, but ultimately, your loyalty stands with yourself. If things go south for your company, they will have no problem enforcing cutbacks and layoffs, and you may very well be on the chopping block. Do not feel guilty for pursuing other opportunities that align well with your career goals. What career tips do you wish you would have been given when you were just entering the workplace? What career tips would you give millennials that you work with?